Many claim the 'Momo challenge' has resurfaced and that has parents worrying about videos supposedly telling children to engage in self-harm. Search for "Momo" or "Momo challenge" on any popular social media site and you'll get results featuring a frightening image and stories of parents raising the alarm about it. While the posts vary in content, the underlying claims are the same, that of a disturbing image of a woman named “Momo” appearing in YouTube videos targeted at children. She appears like a character in a horror film with an over-sized head and wide eyes. Some reports claim she’s appeared in Peppa Pig videos, others claim they have seen it on Fortnite videos. But, is it real or an online hoax? Is the “Momo challenge” real? Is this image of a woman really appearing in YouTube videos instructing children to hurt or kill themselves? Research and lack of evidence indicates that no, this is not really occurring as the claims above indicate. While we can’t disprove the claims going around, there has been no evidence to support them either. A YouTube spokesperson told VERIFY that contrary to what many headlines claim, they haven’t found any examples of these types of videos. The image of "Momo" comes from a real sculpture created by a Japanese artist. The artist was not responsible for how his art is now being used. This is not the first time the "Momo challenge" has surfaced. The initial claims said that "Momo" would respond on WhatsApp and encourage people to take part in games where they’d be told to do self-harm or worse. The newer posts in February of 2019 made additional claims that there were disturbing clips of "Momo" appearing in YouTube videos that were targeted at kids. VERIFY was unable to find any such videos. A few videos have surface appearing to show "Momo" singing or talking to viewers, but they weren’t shown to be clips hidden inside other videos. According to YouTube, they have not found any of this content on YouTube Kids and haven’t had any videos flagged or shared with them that would violate their policies. 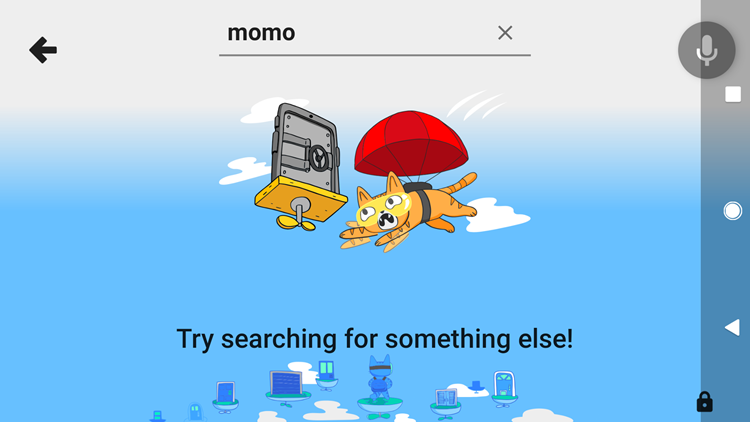 A typical user can go on YouTube, search for Momo and find a variety of video content, but according to the company, the results still fall into their policies covering news, educational and documentary content. A similar search on YouTube Kids returns no results. The image at the core of the “Momo” claims is not a real person. It’s a sculpture made by a Japanese artist. This is not the first time "Momo" has appeared in viral claims. There have been reports and articles of suicides as a result of the "Momo challenge", but none of them have been definitively linked. YouTube has more than 300 hours of video uploaded every minute. They confirmed that they do check their videos and that any matching the descriptions in the social media posts would be removed. Scary videos can and do make it through their systems. While there is no evidence to the claims going around right now, we can’t definitively prove them false either. It’s important to be aware of this challenge and the claims going around, but our research shows that the claims are not backed by evidence. The continual spread of these claims by concerned parents could be contributing to the fear surrounding them. It’s worth checking your kids' YouTube history and discussing "Momo" with them so they know it’s not real. This isn't the first time rumors of an online suicide challenge have circulated the web. It was reported by a Russian newspaper in 2016 that a "blue whale challenge" was spreading on Russian social media and had encouraged more than a hundred teenagers to kill themselves. The challenge involved a series of actions over 50 days that ended with suicide on the last day. The credibility of that rumor has also come into question. Some suspected the game didn't even exist until after it was reported in the news media. Editor's note: Since this VERIFY story has been published, viewers have reached out with videos allegedly connected to this claim. The videos were appearing online since the viral claims began circling. At this point, there is still no evidence to support the above claims.